Biomass heating is a mature, proven technology and has been used successfully for many years. Using biomass is one of the only cost effective and practical ways to provide space heating, hot water and process heating/steam from a low carbon source. Also, using biomass sources for heating provides more cost-effective carbon savings than for other uses (e.g. for electricity or transport fuels). It typically offers the highest carbon savings per unit mass of biomass, and the highest carbon savings that can be obtained by using a unit of land to grow biomass. The most commonly used sources of biomass heating fuels are virgin wood, certain energy crops, industrial wood residues and certain agricultural residues. Biomass fuels are typically delivered as woodchips or wood pellets, but can also be in other forms such as logs or straw bales. Generally either manually fed ‘batch-firing’ systems below 300 kWth (as above, requiring daily input to load the system with fuel) or alternatively very large (multi-MWth), automatically-fed heating/CHP plant. Typical fuel for most automated biomass systems (50 kWth – multi-MWth applications). Some biomass plant is specifically designed to burn co-products from the wood industries such as furniture off-cuts and sawdust. Some biomass plant can burn common agricultural commodities such as oats and spent grain. Direct combustion is the most common method of producing heat from biomass. This process accounts for 90% of all energy recovered from biomass worldwide. For more information on the technology, please click here. Fuel storage and delivery system: Fuel is drawn from the storage bin using a moving floor or screw conveyor, which then is fed into the combustor in a controlled manner. Heat exchanger: The heat exchanger removes the heat from the combustion gases and places it in the air or water that is used for space heating or other needs. Pollution Control Devices: Combustors require some sort of additional treatment to reduce the amount of pollution in the stack gas. Devices for treatment include cyclonic separators, bag houses, electrostatic precipitators, and scrubbers. Auxiliary boiler: These provide heat only when the requirement for heat drops below the biomass system’s turndown ratio (often about 20 percent of full load). Control system: The control system measures the operating parameters of the device; it adjusts the device to ensure smooth, high-efficiency, safe operation. Typically are outdoor furnaces burning blocks of wood and distributing heat with hot water. Use particulate biomass fuel (feedstock), typically utilizing a two-stage combustor (i.e. With a secondary combustion chamber) and incorporating a fire-tube hot water boiler (i.e. A tube that carries hot combustion gases through the water that is to be heated). Have fully automated feeding of particulate biomass fuel (feedstock), typically utilizing a moving or fixed grate combustor with integral or adjacent fire-tube boiler for hot water, steam or thermal oil. Biomass heating systems can be used for space heating of buildings, hot water production, steam production, or any combination of these. They can be used at almost any scale, from domestic (10kWth) through to ‘light’ commercial (50kWth to several MWth), to industrial or district heating systems (up to hundreds of MWth). Community energy systems make use of a biomass heating plant and a district heating system to service clusters of buildings or even an entire community. Such community energy systems can provide space heating, heating of ventilation air, water heating, and process heat. Small community energy systems employ biomass heating plants, usually with a capacity of 1 MW or higher. The heat thus produced can be supplied to individual buildings, such as institutional (e.g. hospitals, schools, sports complexes), commercial (e.g. offices, warehouses, stores), residential (e.g. apartments) and industrial buildings. Individual buildings can satisfy their heating requirements with biomass heating systems. The biomass heating plants in individual buildings tend to be of the “small-commercial” or “commercial” variety. For plants with capacity of 75 to 250 kW, small-commercial systems are common. Commercial biomass heating systems, sized from 200 to 400 kW, have characteristics of both small-commercial and industrial biomass heating systems. Small industrial biomass heating plants are used to provide process heat to industry, especially in those sectors where biomass waste is produced. These include sawmills, sugar plants, alcohol plants, furniture manufacturing sites, and drying sites for agricultural processes. Industrial processes will usually require substantial quantities of heat year round, thus justifying the higher capital costs of biomass heating through substantial savings in fuel costs. 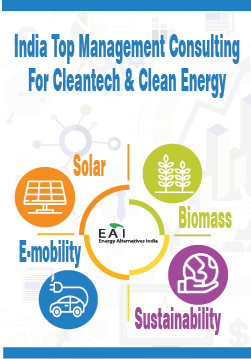 Opportunities are diverse, and are present in different sectors such as agriculture (biomass cultivation and processing), transportation, bioenergy production, manufacture of core equipments and EPC etc. For more information on business opportunities in the biomass to heat sector, please click here. Don't Miss It! 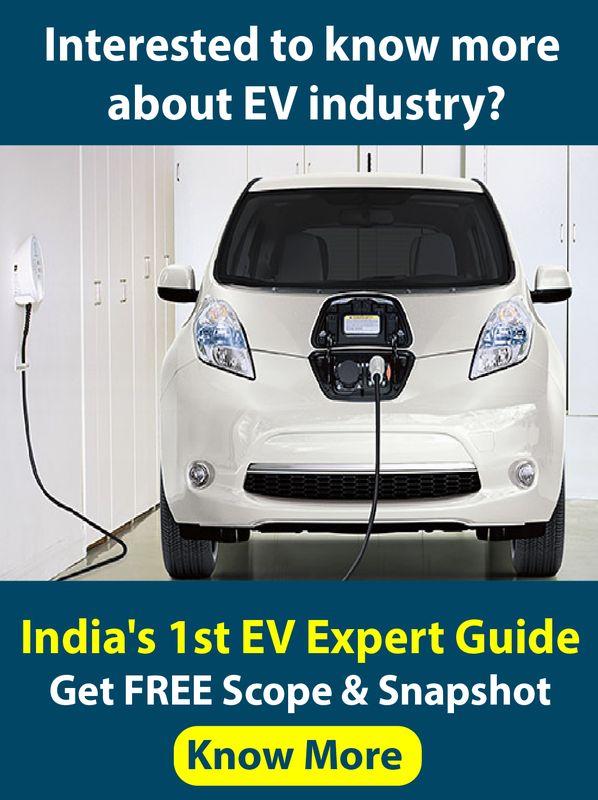 Get Latest from Energy Alternatives India Delivered in Your Mailbox. Free! Copyright - 2017 EAI. All rights reserved.